LAHORE -- Punjab youth are welcoming the opportunities created by the provincial government's e-Rozgaar programme. Punjab Chief Minister Mian Muhammad Shahbaz Sharif inaugurated the programme and Pakistan's 1st National Freelancing Convention March 28 in Lahore. The e-Rozgaar Programme was started by the Punjab Information Technology Board (PITB) to train youth in various information technology and entrepreneurial skills. Initially, the programme aims to train 10,000 youth at e-Rozgaar centres throughout the province to earn a living from home by using the internet. At the first freelancing convention, 500 applicants participated, going through a highly competitive three-round process. "The programme was launched to equip young graduates in order to increase their employability," said Sharif at the inauguration of the programme. "Youth are playing a vital role in the development of the country after equipping themselves with education," Sharif said. "Students should focus solely on education, as the government will bear all the expenses [of the training]." The challenges of educating youth must be turned into opportunities, he said. The e-Rozgaar programme focuses on the development of technical skills that are essential for success on online platforms. "It's not just a training programme but a revolution that will help generate employment and prepare Pakistan to take part in the [global technology race]," Sharif said. The main objective of the programme is to empower and employ youth in Punjab, he said. "This project will specifically benefit the unemployed and under-employed youth in the province by providing a range of basic, medium and high-level skills to avail them of online opportunities and link them globally via freelancing," he said. Officials plan to set up 40 e-Rozgaar centres in 36 districts where youth can participate in 3.5-month training sessions that will enable them to earn a living through online jobs, Sharif said. "Youth are our asset, and the destiny of the country cannot be changed without their economic empowerment," he said. 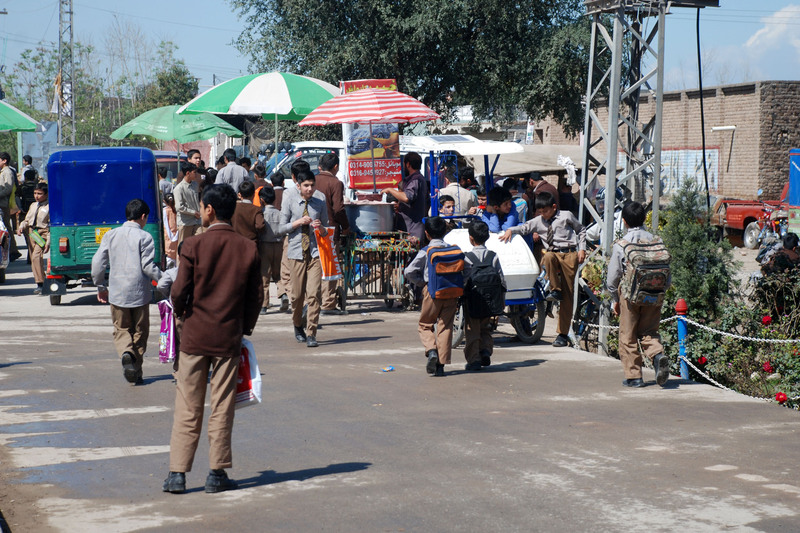 Pakistan's youth bulge -- with young people comprising more than 60% of the population -- "requires creative employment stimulators", said Punjab Minister of Sports and Youth Affairs Jahangir Khanzada. "The programme is an innovative step towards the cohesion of knowledge, training and modern technology to create opportunities and tap into the measureless talent possessed by our people, especially youth," he told Pakistan Forward. "E-Rozgaar connects our youth with employers through internet-based freelancing and stands as an innovative instrument for immense value addition to their skill set through rigorous training," he said. The programme will "revolutionise the job market and promote an alternative self-employed yet self-sustainable service model", said Khanzada. Punjab youth are finding the programme beneficial. "As a freelancer, you need to work on your skills so you can become more popular in your expertise," said Shabana Izhar, a computer science graduate of Kinnaird College for Women in Lahore and an e-Rozgaar trainee. "Freelancing is becoming more and more common as time passes," she told Pakistan Forward. "Most of us believe that freelancing is something that leads you to become a successful entrepreneur." "Working as a freelancer is the best possible way to get to know about yourself and your services, and it also helps in networking with professionals of your skill area, clients and other freelancers," said Latif Mehr, another trainee working towards his master's in computer science in Lahore. Freelancing helps young workers gain experience and grow their professional network, he told Pakistan Forward. It also helps young entrepreneurs "to analyse and re-evaluate their field of interest [to determine if it] is still a viable and worthwhile option". "The project aims to empower youth, especially females, to learn and earn through a series of IT-based trainings and workshops," PITB Chairman Umar Saif told Pakistan Forward. "Pakistan is already the fourth largest provider of freelancers in the world, and this initiative will ... help us consolidate our standing," he said. "It will enable our youth to earn valuable foreign exchange for our country." 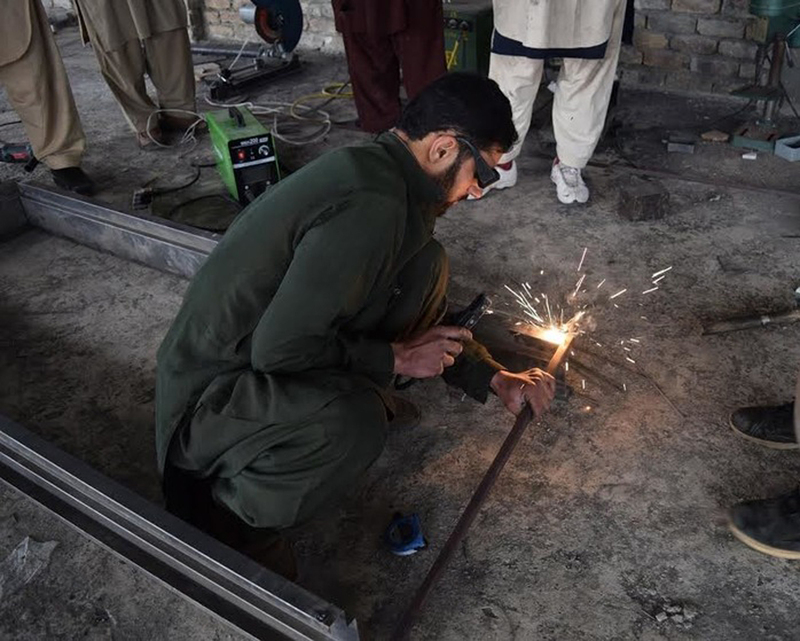 The programme aims to provide job opportunities for educated youth and to encourage self-employment through knowledge-based economic activity, he said June 1 during the inauguration of an e-Rozgaar Centre at the University of Engineering and Technology, Taxila. It was the third centre opened since the launch of the programme, following centres at the University of Gujrat and the Government College Women University Faisalabad. E-Rozgaar aims to train 10,000 youth annually "to monetise their skills via online platforms", Saif said. "It will help our youth find honourable livelihoods by connecting them to global markets." Most of the applications for the e-Rozgaar programme came from Lahore, where 4,946 candidates applied, followed by 3,255 in Faisalabad, 2,248 in Multan, 2,023 in Rawalpindi, 1,430 in Bahawalpur, 1,268 in Gujranwala, 1,222 in Sargodha and 1,026 in Rahim Yar Khan. After going through a rigourous exam process, some of the applicants have been selected to participate in the training programme at existing centres. During the first phase, e-Rozgaar centres also will be set up in Lahore College for Women University, Bahauddin Zakariya University in Multan, Islamia University of Bahawalpur, COMSATS Institute of Information Technology Wah, Khwaja Fareed University of Engineering & Information Technology in Rahim Yar Khan, University of Agriculture Faisalabad, University of Engineering and Technology in Lahore, and Information Technology University, Lahore. I am a fresh graduated. Kindly give me the complete detail. Very good program; young generation needs it a lot; this program should also be started in Multan so that we may also benefit from it. Please send me details of this subject so that our students at veterinary university can apply as well. How can I get this rozgar, please help me.